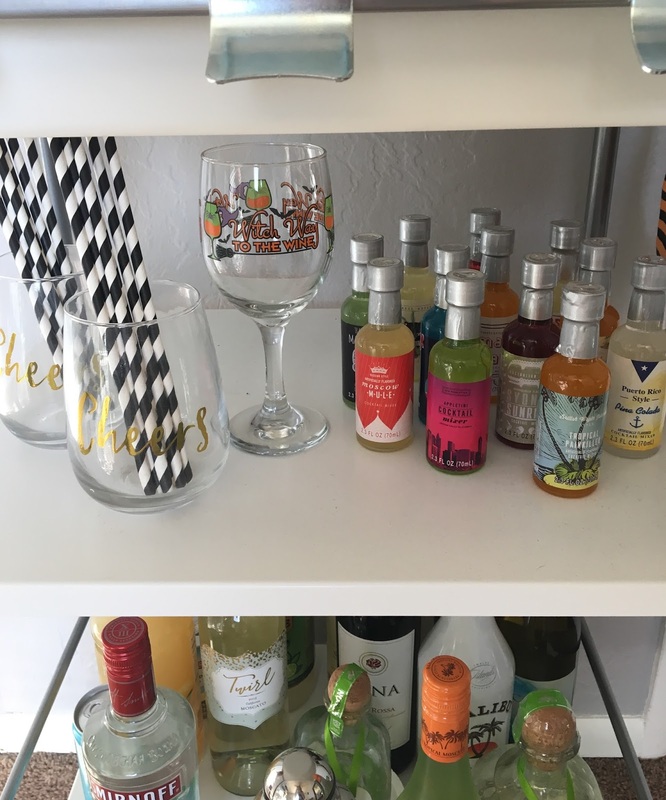 My favorite part of upcoming holidays is changing up my bar cart decor. I spent the past two years finding little things to add to my collection until I could finally have the cart in my room. Now it's in my room and looking spookier than ever this month! 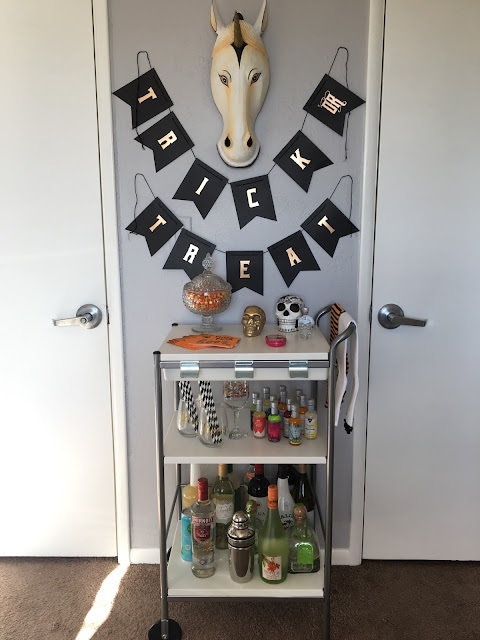 October's cart features two Halloween themed tea towels, a candy corn filled dish, sassy napkins, a few decorative skulls, glasses, and of course liquor (look how cute the global mixer set is)! 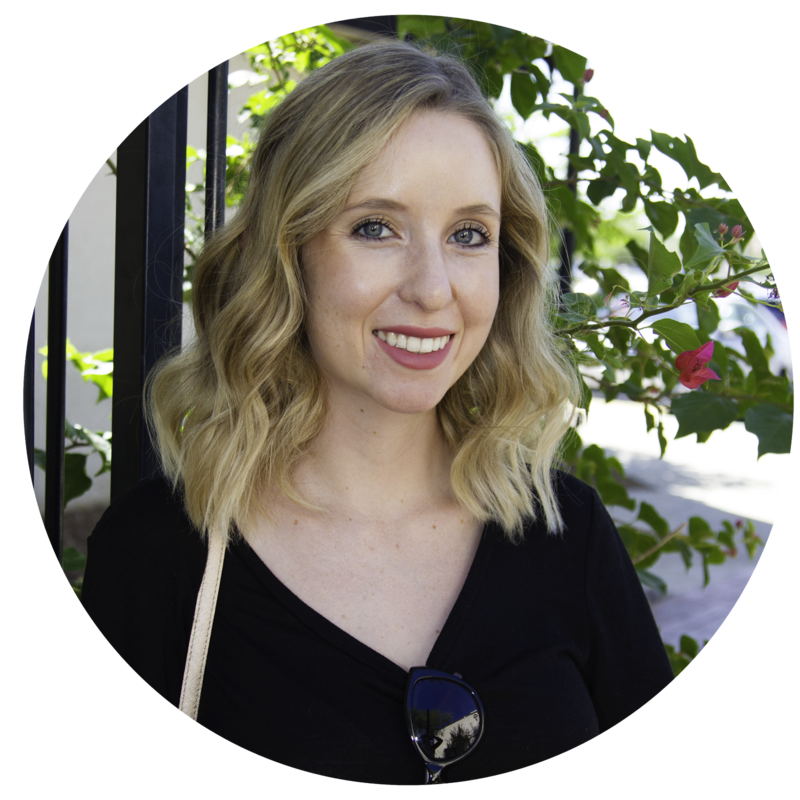 My favorite place to find holiday items to add is the Target dollar section, but I've also linked some similar items I love that can be ordered at the bottom and the Swoozie's website has tons of goodies too. I also scored this awesome letter board for only $10 at Wal-Mart. You can't order it online, but you can check to see store availability. I checked three stores before I finally found it, it was definitely worth the hunt! Lastly, my mom found the spider decoration on Pinterest and it is so simple. It requires 8 pieces of black streamers and 1 non-helium balloon, tape it all together in a corner and you have a creepy little visitor! How do you decorate for Halloween?